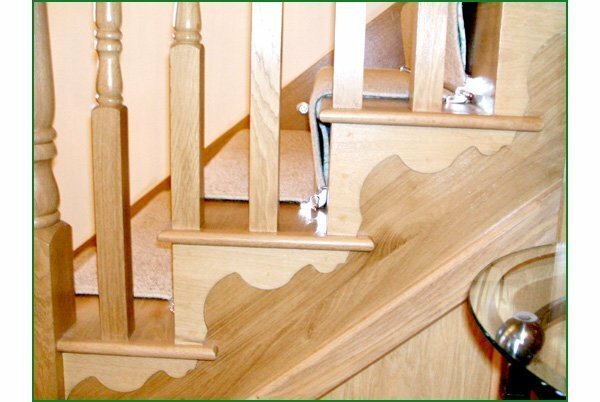 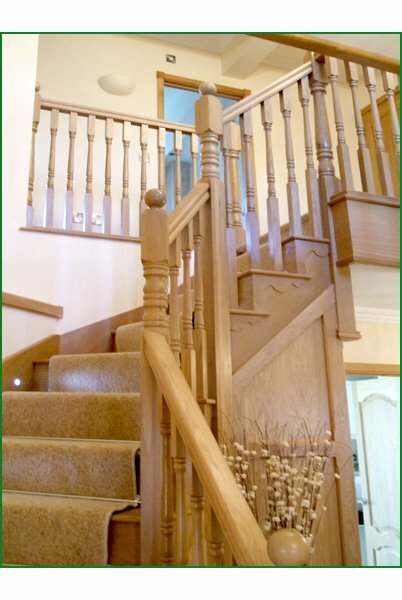 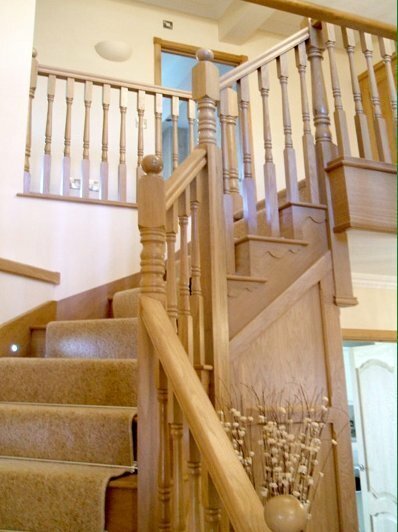 A beautifully constructed cut-string and bracketed staircase in American white oak. 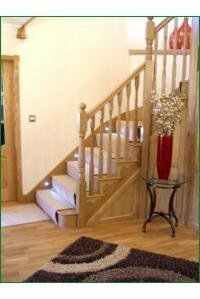 We had to use angled strings to fit into the client's pre-built walls. 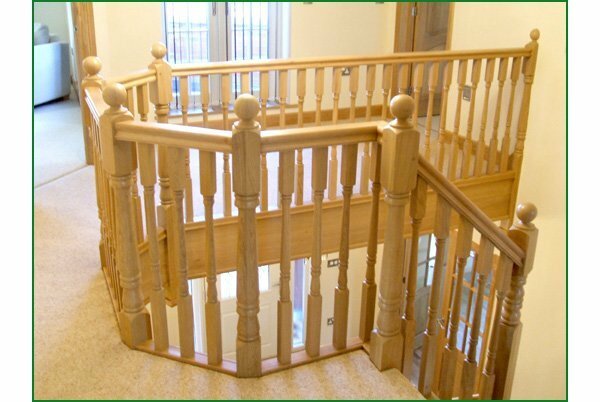 The turned newels are complemented by the 41mm Georgian spindles. 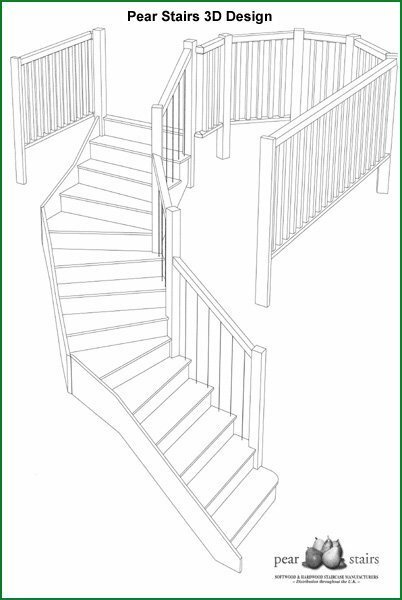 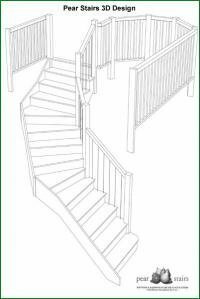 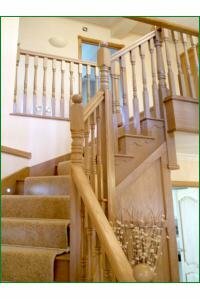 The staircase was in a show home and the carpet has probably been removed by the eventual house owner to show the full splendour of the wood.